Combining motorcycle functionality with fashion-forward designs – in conjunction with the opening of the first North American location – the iconic Ace Cafe announces the launch of a full lineup of leather jackets for both men and women. Classic, functional, and comfortable, these leathers pay homage to the famous London-based motor-diner, which has served as a beacon to motorcyclists and rockers alike for decades. In fact, it was at Ace Cafe London where “ton-up boys -- and girls” hugely influenced the cafe racer culture. 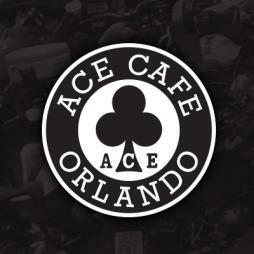 “The Ace Cafe has become a global cultural phenomenon over the course of its 79-year history,” explains Mark McKee, chief gear head of Ace North America. “Leather is a key part of the motorcycle story, so we’re bringing six new leather jacket styles to market here in North America in conjunction with the opening of our first U.S. location." Named after the historic neighborhood just off the A4 motorway in London, where "doing the ton" – racing a jukebox record at speeds topping 100 mph -- helped to create the cafe racer movement. The Hammersmith jacket is the hallmark – and the first release – of the Ace Cafe Leather Collection.